I think the game is awesome, and has SO much potential. I'm not entirely sure what the idea is for the plot, or how "alien" an alien should be, but I wanted to offer some of the alien species I've created, for use in the game. 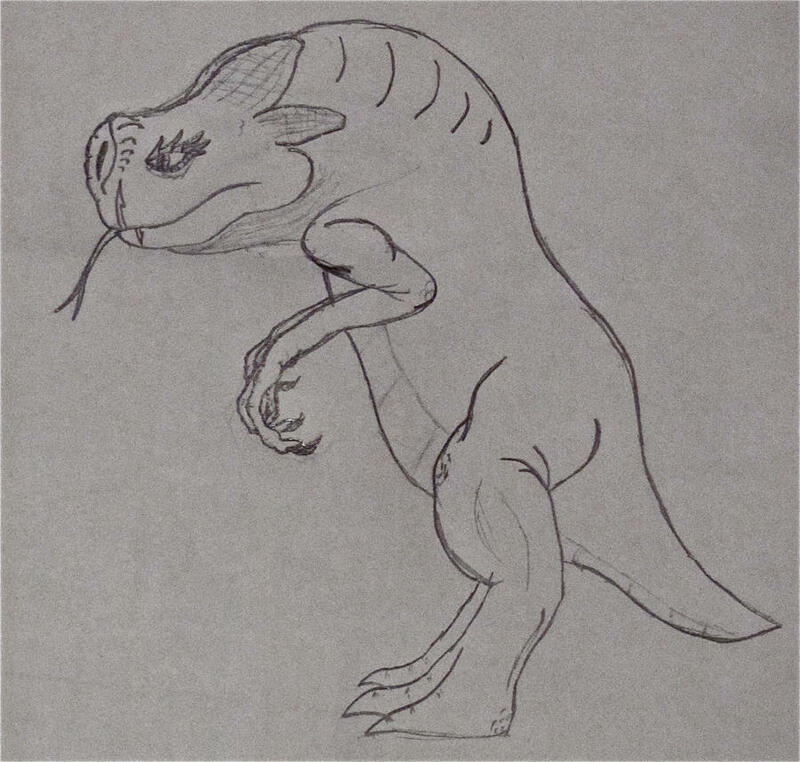 I've been drawing since I was 3 or 4, and I'm NOT a professional, but I think my drawings have enough detail to really express the creatures' aspects. (Link: http://th02.deviantart.net/fs71/PRE/f/2 ... 7pnykg.png ) ~ This is the Hyperi(/Hie-PEER-ee/). I draw most of my creatures in black and white, so I took this one and colored it on the computer recently, and was pleasantly surprised with how it turned out. 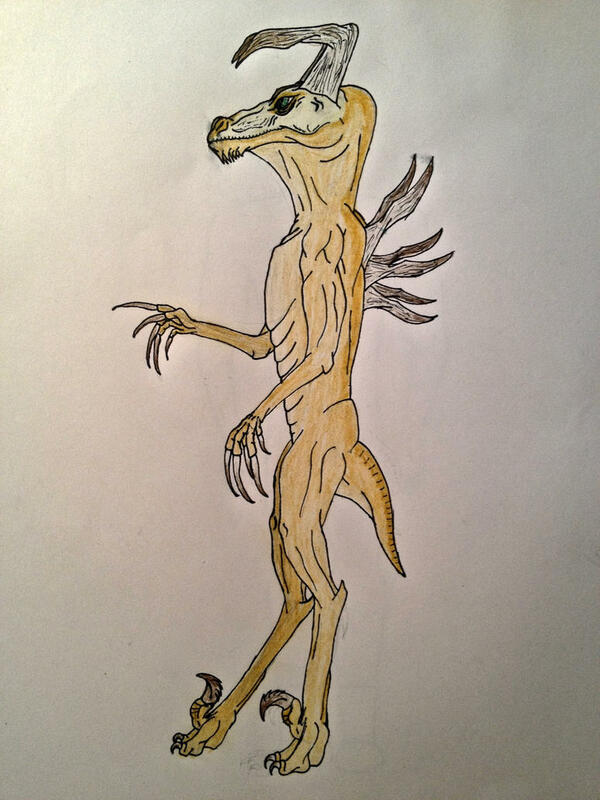 The Hyperi are a species about as tall as a human, They come from a world where the sun emits much more deadly uv radiation, and the atmosphere is not as able to block it. Therefore, their skin is resistant to uv rays. To them, it's just another kind of light, because they can see in it. In fact, their skin is like a chameleon, but for uv rays. They use these fluctuations in their skin pattern(when seen through uv) as a form of communication(which is invisible to humans). They have an enormous eye that wraps around their entire head so that they can "hear" behind them. (Link: http://th02.deviantart.net/fs70/PRE/i/2 ... 7m434f.jpg ) - This is the Reptilinod species(/Rep-TIL-ih-NOD/), an ancient, incredibly advanced race(A notable ruler in their history was Emperor Zetylon, who reigned for around 300 years, in what humans call 3000 BC, before humans had invented writing). Their ships are equipped with highly powerful weapons, powered by vacuum energy, and have almost impenetrable shields. They've gone through several genetic enhancement campaigns, and the image shown is their most recent "incarnation", Eta-generation. They are telepathic, and have a trinary circulatory system. (Link: http://fc06.deviantart.net/fs70/f/2013/ ... 6mgxev.jpg ) - The Key'tchar(/Kae-CHAR/) are an eccentric race. They mostly keep to themselves, but are formidable opponents, and great allies. The Key'tchar use biotechnology, which means that instead of developing metallic, artificial devices like humans did, they used biology to light their streets, provide power to homes, and eventually make biological, living starships to travel the stars. Of course, you can't have a biological interstellar drive, so they were given a technology called the TEm drive(Tachyon Emulation), which turns all the particles in the ship into tachyonic matter, allowing them to travel faster than light. (Link: http://fc04.deviantart.net/fs71/i/2012/ ... 4xn257.jpg ) - Remlans(/REM-luhns/) are an almost spiritual race. They have telekinetic abilities. They are a wise and ancient race(although not as old as the Reptilinod), and they come up to about your midthigh(Despite the similarities, they were not inspired by Yoda ). I'm going to stop there for now. I hope you like them! (Link: http://scinlao.deviantart.com/art/Tpynt-478032447) - The Tpynt(/PIHNT/) are from the Andromeda galaxy, and perceive the world through sonar. They are a tree-dwelling people, with feet that can wrap around branches, and notches in their prehensile tail for better grip. Don't let the way they live fool you, the Tpynt are one of the two hugely powerful warmongering races in the Andromeda galaxy(Alongside the Kqo'rrians). The Tpynt Imperium rules a huge portion of their galaxy. (Link: http://scinlao.deviantart.com/art/Ee-478255883) - The Ee(/EE/) are a strange species, with a complicated past. Their gangly, disproportionate bodies have a ghoulish aura about them to some races. It's believed that their ability to communicate through infrasound, inaudible to many species, is what allowed them to pull off their most incredible deceit(they being a deceitful races, xenophobic in nature). They enslaved an advanced race called the Parisae, by having them believe they had contracted an ancient disease accidentally conjured by the Xilophor, and that the Ee were the only ones who could make the cure. In fact, the medicine given them was a narcotic, which ensured the Parisae kept coming back for more. The Ee sapped their technological prowess, and used them as powerful warriors to defend the Eer-Pasi Union. Eventually the Alliance intervened, and the liberated Parisae became great allies, but even then the Ee showed technological sophistication of their own, even once succeeding in time travel, although their efforts to destroy the Alliance were thwarted. Last edited by QuantumMechanix on Wed Aug 27, 2014 12:43 pm, edited 1 time in total. 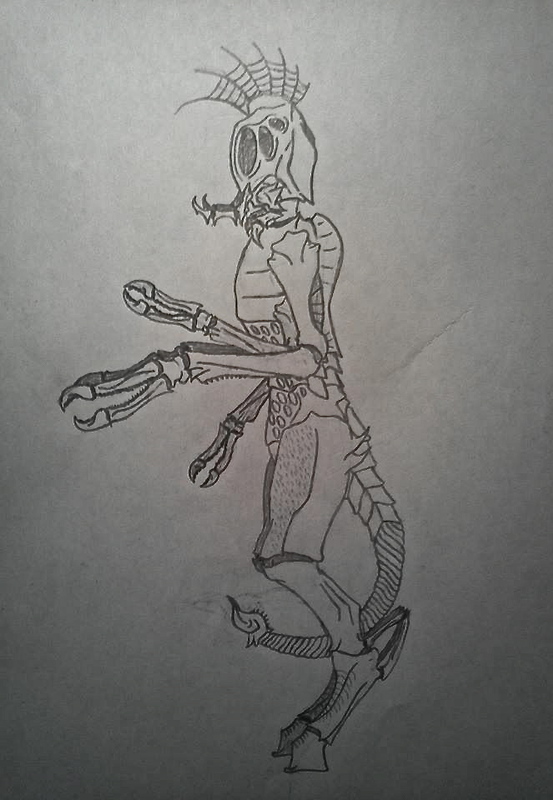 Hello, i wanted to talk to you about an alien enemy species i suggested, (along with many other enemy ideas) witch you can read herehttp://pulsarthegame.com/forums/viewtop ... 2&start=10 the enemy species is named "Exo". I just want to know what you think of them. DarkHenrik wrote: Hello, i wanted to talk to you about an alien enemy species i suggested, (along with many other enemy ideas) witch you can read herehttp://pulsarthegame.com/forums/viewtop ... 2&start=10 the enemy species is named "Exo". I just want to know what you think of them. Was that for me to read? Cause if it was, it sounds interesting That's a lot of different enemies of one faction, though. It is meant for you, because, i could not for some reason send you a message about this... so i decited to write it here. And again, it is meant for you, duo to your interest of extraterrestrials creatures, so i wanted to hear what you thought of the "Exos"
Added more art to the original post! There's some really interesting concepts here! Good work!